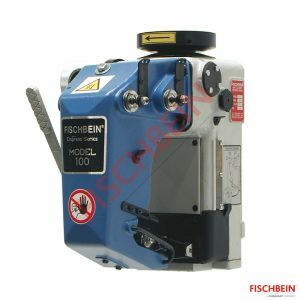 Built with the world-famous Fischbein craftmanship, the Sewing Head 100 is constructed with heavy-duty metal components for unmatched durability you can rely on for years to come. Even in the most demanding working environments, Fischbein’s pressurized, self-lubrication system protects moving parts and ensures maximum productivity with low maintenance. The Sewing Head 100 is a “low vibration" sewing head, used for tape and/or plain sewing of open-mouth bags, including paper, polyethylene (min. 120 microns), coated woven polypropylene and complex bags. Sewing head requires to be mounted on an appropriate column or frame (see ""Fischbein"" sewing systems).